About | Waterfront Technologies, Inc. Waterfront is all about providing personalized marketing & design. Why? Because we care about out clients and when they succeed we do too. 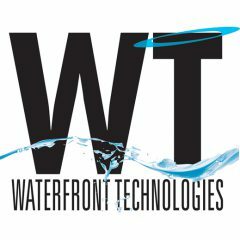 Founded in 2001, Waterfront Technologies provides graphic arts and Internet technology solutions to corporate, non-profit and government organizations. The founders, Janice Kaufmann and Ray Blankenheim, saw an opportunity to combine their disparate experiences in order to apply a synergistic approach to brand marketing and project management. The company’s strength lies in its ability to provide highly personalized services, offering both brand marketing and programming technology.